LIVE STREAMING SERVICE CURRENTLY SUSPENDED FOR 2018/2019!! Thanks for supporting Redskin Nation! Email redskinnation@rocketmail.com if you have any issues. 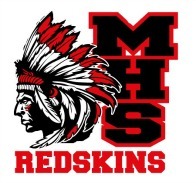 Mail the form, along with payment, to Redskin Nation, P.O Box 323, Momence, IL 60954.